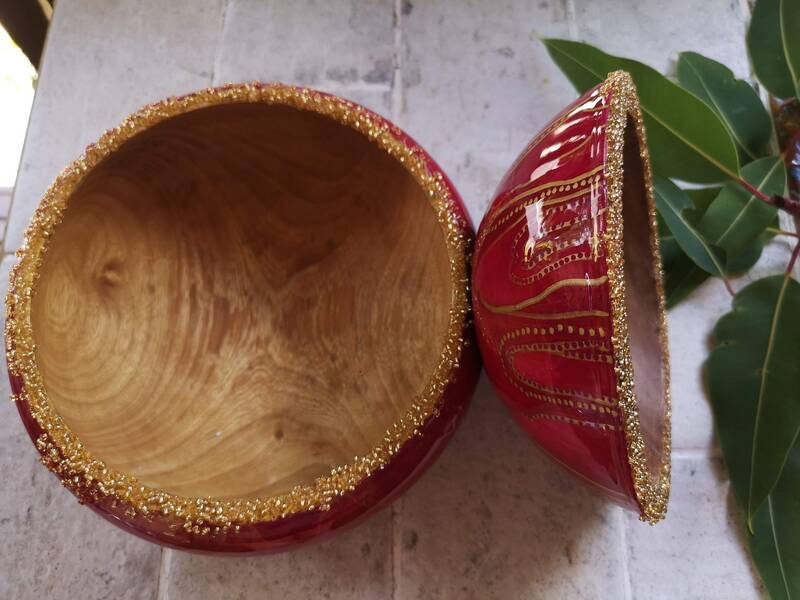 Solid timber bowl hand-painted with acrylic artwork and embellished with gold beading. 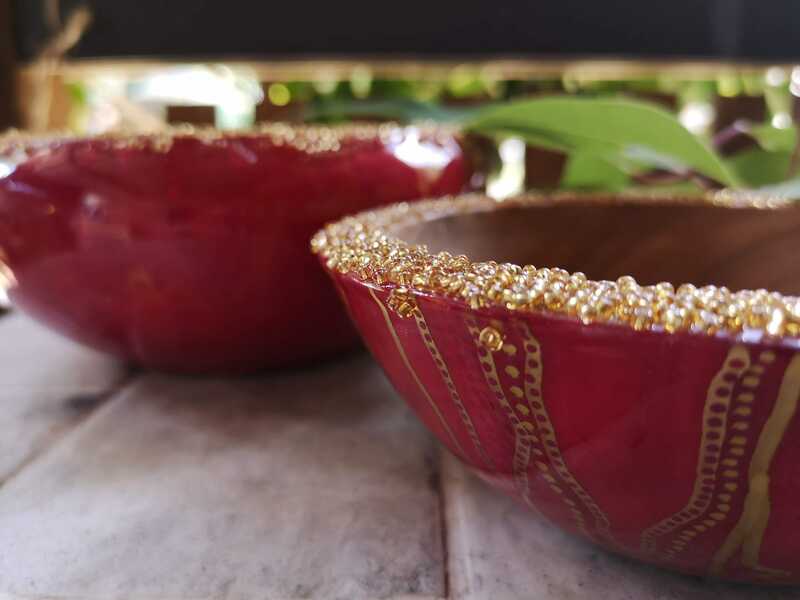 If you like texture then this bowl is for you, the beads feel lovely to the touch and are permanently set in to the resin. The artwork is sealed with two layers of food safe resin, ensuring long lasting gloss and clarity. 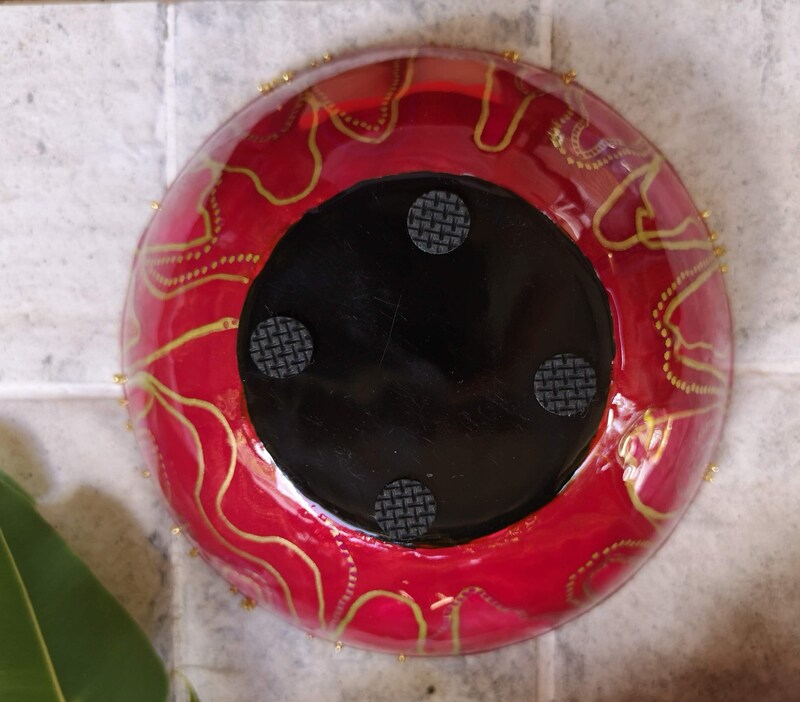 The underside of the bowl is plain, and has four rubber feet to protect surfaces. The bowl comes with care and cleaning information so you can keep it looking spectacular. The timber has been conditioned with food-grade mineral oil. 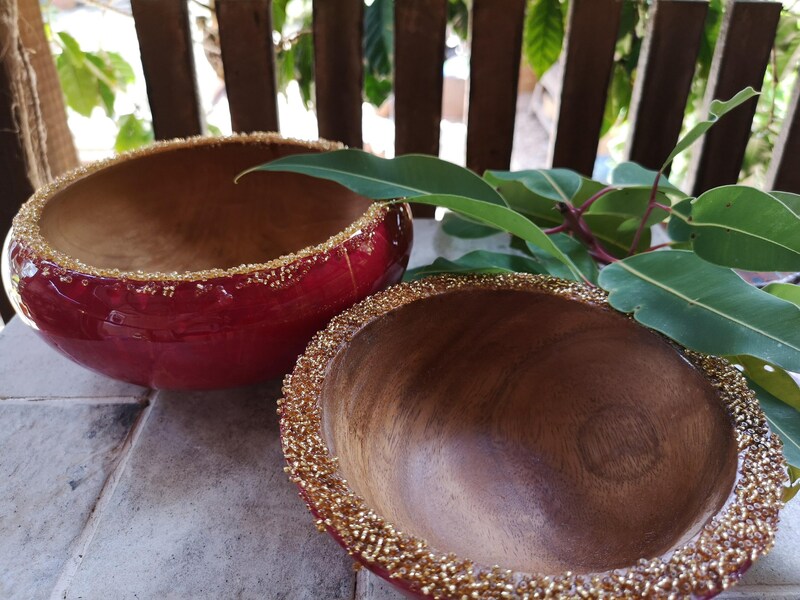 This bowl has a big brother in my shop, both bowls have been painted with the same colours, in a similar style and with gold beading. So I have included an option in case you would like to purchase both bowls as a set.